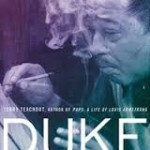 Five years ago I was putting the finishing touches on the copyedited manuscript of Pops: A Life of Louis Armstrong. Paul Moravec and I had proofread and signed off on the orchestral score to The Letter a few weeks earlier. I was still having trouble getting used to the fact that an opera I’d helped to write would be professionally produced that summer. I had no idea that I’d write the first draft of a play about the subject of my latest book less than a year later, and I’d have laughed in your face if you’d told me in 2009 that it would be commercially produced off Broadway. Well, it happened. 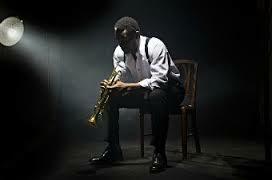 Satchmo at the Waldorf opens at the Westside Theatre tomorrow night. No matter whether it hits or misses, they can’t take that away from me: I wrote a play that made it all the way to New York. I haven’t talked much about it, in this space or elsewhere, but it’s not exactly a secret that working drama critics rarely write plays, at least not in this country. One who did, Wolcott Gibbs, wrote a comedy called Season in the Sun that opened on Broadway in 1950, an occurrence sufficiently extraordinary that Life actually ran a feature story the following week called “A Critic Awaits His Critics.” It was accompanied by photographs of a sickly-looking Gibbs sitting in a Times Square nightclub on opening night, waiting for the morning papers to come out so that he could see what his colleagues had to say about it. Given his well-known predilection for booze, I suspect he’d prepared himself for the worst. When word got around in the theater last summer that the most acid of all play critics, The New Yorker‘s Wolcott Gibbs, was having a play of his own produced, a lot of vengeful actors and playwrights prayed that Gibbs would fall on his face. Last week when Gibbs’ play, Season in the Sun, finally opened, a highly expectant swarm of first-nighters, whiffing blood like spectators at a Roman circus, were on hand to watch Gibbs come to grief or glory. 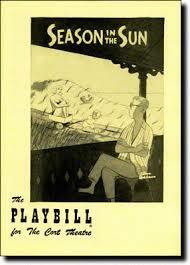 As it turned out, he got good reviews, and Season in the Sun ran for 367 performances. 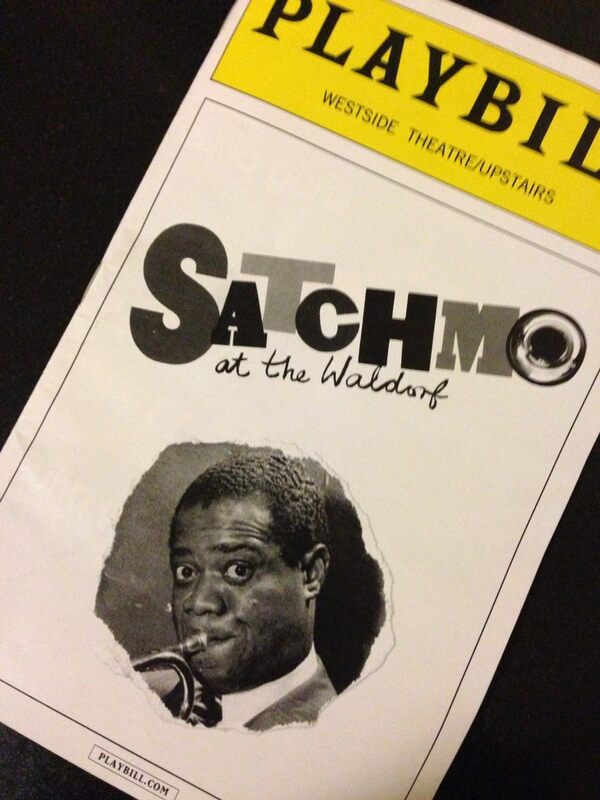 But I’m sure that there are plenty of people who’d be glad to see Satchmo at the Waldorf do otherwise. I can’t say that I blame them, either. It goes without saying that I sometimes have occasion to write sharply in The Wall Street Journal about shows that I don’t enjoy. Nobody likes being written about that way. 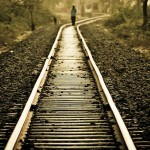 If it happens to me, I won’t like it. 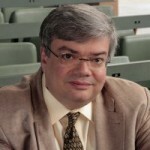 On the other hand, this isn’t my first trip in front of the firing squad: Satchmo has already been produced and reviewed in four other cities, and I’ve also written three opera libretti and half-a-dozen books, some of which, shall we say, got better notices than others. Getting reviewed, favorably or not, is anything but a new experience for this first-time playwright. 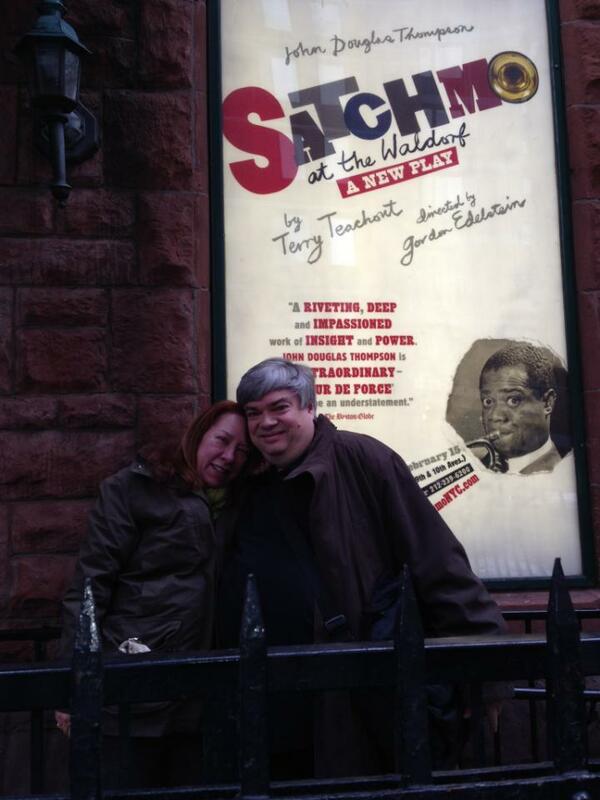 For me, the big surprise was that the theater people whom I’ve met in the course of working on Satchmo have without exception been amazingly generous and welcoming. They all say variations on the same thing: Good for you. You’ve stepped up to the plate. Now you know how it feels. I wish you the very best of luck. I think they mean it, too. In any case, the waiting is almost over, and after two weeks of previews, I know that Satchmo at the Waldorf is capable of pleasing New York audiences, all of whom have received it warmly so far. And I know what it feels like to work with John Douglas Thompson, Gordon Edelstein, and the best design and production team on the planet. It’s been a wholly blissful experience–one that I never expected to have, and one whose memory I’ll treasure for the rest of my life.